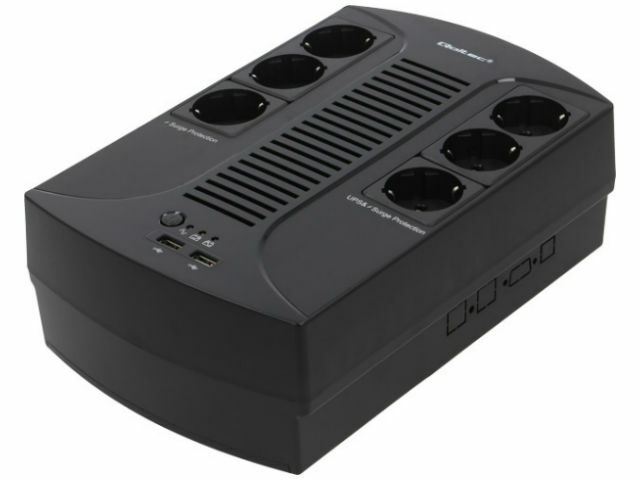 QOLTEC power supply units feature a 3-schuko socket strip with emergency power supply (UPS) functionality and overvoltage protection, three sockets with overvoltage protection, and two 5V/2A USB ports. They are also protected against overloading, short circuits, high temperatures, and high/low voltages. What’s more, they feature an automatic voltage regulation system, cold-start function, automatic turn-on feature when the power is restored, and they guarantee simulated, sinusoidal output voltage. Our offer includes UPS strips from QOLTEC rated 390W and 510W that operate using 220VAC output voltage. Their charge time is 6–8 hours and their backup power time is 10–20 minutes. These UPS strips are perfect for home and office applications. They come with a power cable and can be used as a stand-alone UPS and as a strip with overcurrent protection. More information can be found on the subpages of QOLTEC product available at TME.